Discover the latest advances in hair removal treatment for men and women across London, brought to you by the experts at HSA Dermal Clinic. Recent years have brought about the introduction of countless new technologies for effective and affordable hair removal treatment, significantly expanding treatment options for men and women alike. 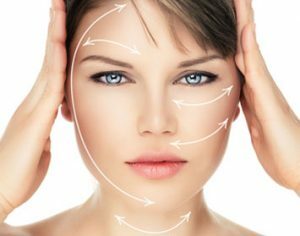 If looking for the most advanced permanent hair reduction treatments London has to offer, contact a member of the HSA Dermal Clinic team today. We work exclusively with the most advanced technologies to provide permanent hair reduction treatments that are safe, effective and surprisingly affordable. Suitable for the vast majority of skin types, our cutting-edge hair removal procedures can be used to eliminate unwanted hair from all areas of the body. Developments in laser technology have led to the production of hair removal devices and systems that are not only effective, but comprehensively painless and free from unpleasant side effects. With just a single session, you could be looking at the most remarkable results. Across London and the rest of the UK, more men and women than ever before are exploring advanced hair removal options to improve their appearance and confidence. To discuss any aspect of hair removal in more detail or to arrange an obligation-free consultation, contact a member of the HSA Dermal Clinic team today. Advanced hair removal with perfect results guaranteed, courtesy of the cutting-edge LightSheer Desire hair removal system. HSA Dermal Clinic is proud to offer the most advanced permanent hair reduction treatments on the market, using the latest technologies from the world’s most renowned and respected hair removal specialists. The LightSheer Desire system represents the pinnacle in technological advancement for the beauty industry. Setting entirely new standards for laser hair removal worldwide, the LightSheer Desire system has been proven as uniquely effective and safe for the vast majority of skin types. Gentle yet powerful in the extreme, the LightSheer Desire system is suitable for use across the entire body, quickly and permanently eliminating unwanted hair. LightSheer Desire combines powerful hair removal technology with a unique cooling system, resulting in a comprehensively comfortable experience from start to finish. Just a single session is sufficient to build a noticeable difference, with absolutely no downtime or unpleasant side effects to worry about. HSA Dermal Clinic specialises in all aspects of permanent hair reduction for men and women alike. If you’d like to discuss LightSheer Desire or any aspect of hair removal in more detail, contact a member of our team to organise an obligation-free consultation.